I was having some experiments to setup a file sync system of my own in order to replace Dropbox. I found seafile can be an excellent replacement. 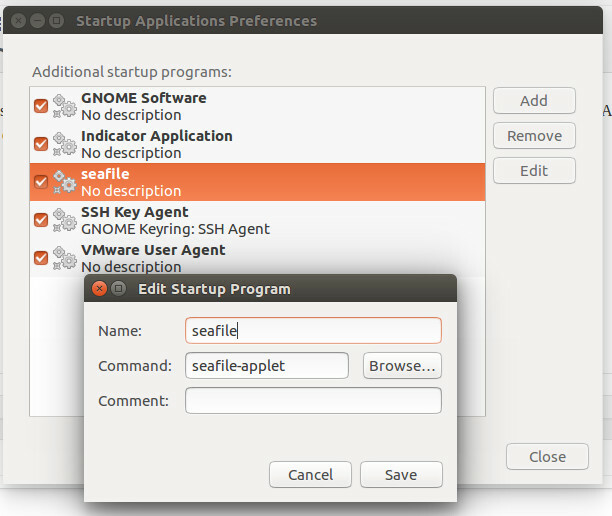 All went fine and I was able to install the clients on IOS, Windows 10, Fedora but noticed that on Ubuntu client does not autostart on login.